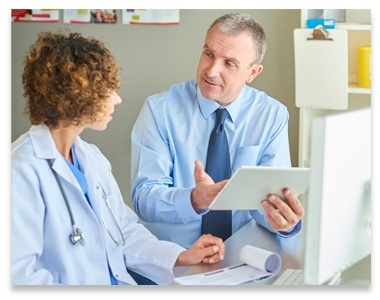 Assessing your hospital’s eligibility and setting up the process for complying with MACRA is a complicated endeavor, and can consume valuable time and resources. 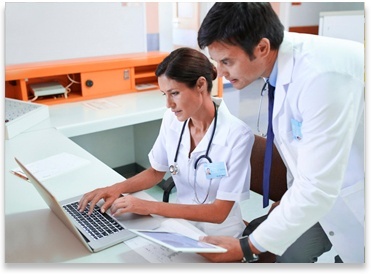 Let the Iatric Systems team be that resource for you. of scrambling to meet the requirements. by allowing our experts to identify gaps, and put a plan in place to meet criteria. 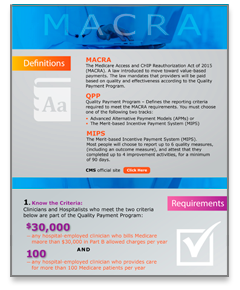 Read this infographic to understand MACRA definitions, eligibility, and reporting requirements. of hospital environment to identify all eligible/required clinicians. to identify needed criteria, and plan for tracking and submission of performance data. about selections, tracking, reporting, and attestation. 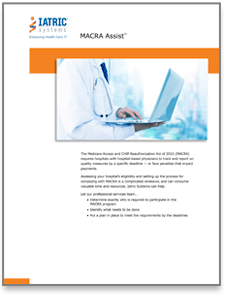 Read this Brochure to learn how you can put a plan in place to meet the MACRA requirements. 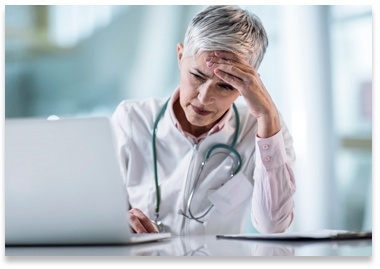 On-Demand: MACRA and Hospitalists — Are you Prepared?